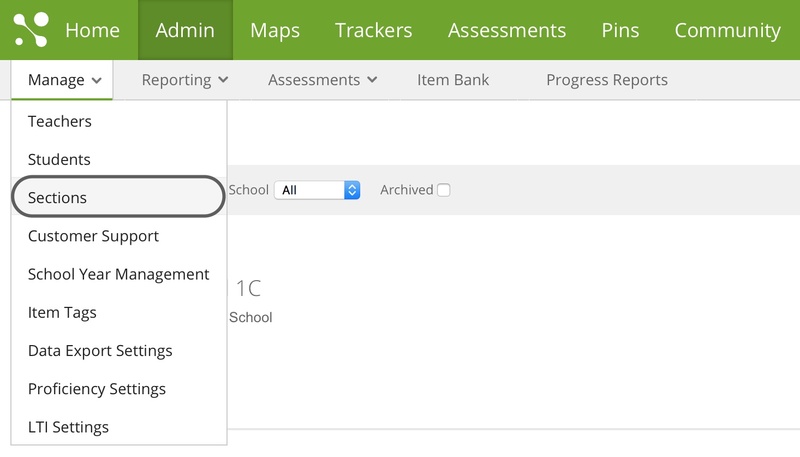 After a section has been created, any teachers that have been added to the section can add it to their trackers. To learn how to add a section of students to a tracker, check out our help article on Import Students from an SIS. Click on Admin, hover over Manage, and select Sections. Complete the required fields (marked by an asterisk), and then click the Create Section button. To add teachers to the section, click Add Teachers to Section, begin typing the teacher's name, and then select from the list. 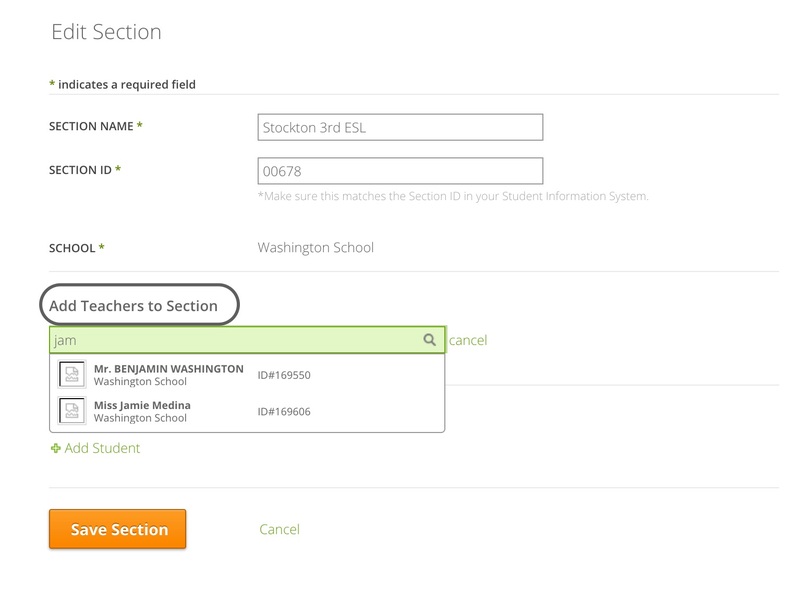 To add students to the section, click Add Students to Section, begin typing the students's name, and then select from the list. After you have added teachers and students, click the Save button.